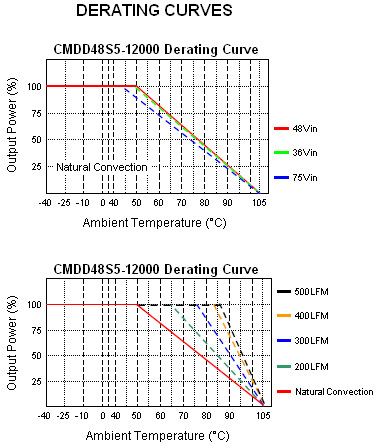 The CMDD series of chassis mount DC/DC converters are single output modules with up to 60 watts of output power. This product is ideal for telecommunications, industrial, mobile telecom and test equipment applications. These converters are designed for a 2:1 input voltage range of 18VDC-36VDC or 36VDC-75VDC. Some features include 1600VDC isolation, remote on/off, and output adjustability. All models are short circuit, over load, and over voltage protected. Chassis mounts come in open frame, U channel, and enclosed types. Notes: 1. The ON/OFF control function: There are positive (standard) and negative logic (option). The pin voltage is referenced to negative input. To order negative logic ON/OFF control add the suffix "R" to the part number (Ex: CMDD48S5-12000R). 2. MTBF: BELLCORE TR-NWT-000332. Case I: 50% Stress, Temperature at 40°C. (Ground fixed and controlled environment). 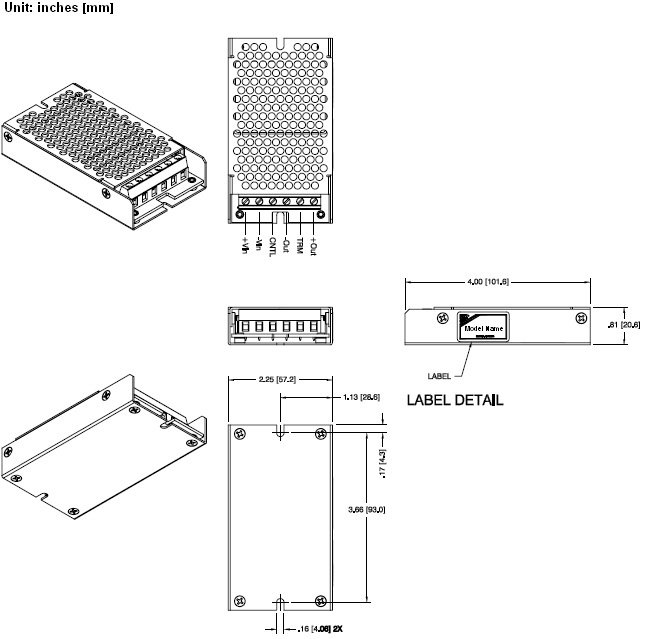 MIL-STD-217F Notice2 @ Ta=25°C, Full Load (Ground, Benign, controlled environment). 5. The "Sense" option is not available for this series.